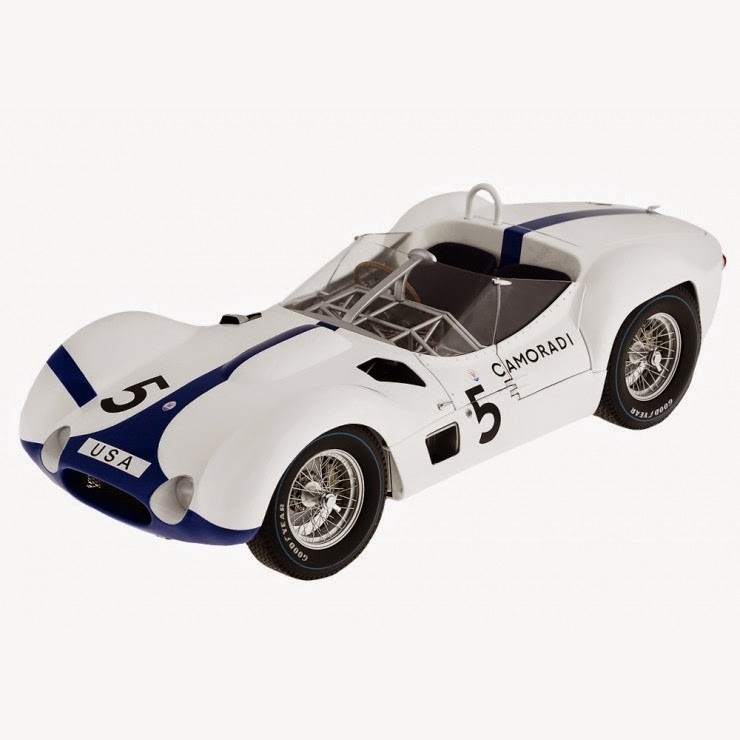 Exact 1:12 scale reproduction of the Maserati Tipo 61 that Stirling Moss and Dan Gurney drove to victory at the prestigious 1000 km Nurburgring in 1960 in the famous blue and white colours of the Camoradi racing team. 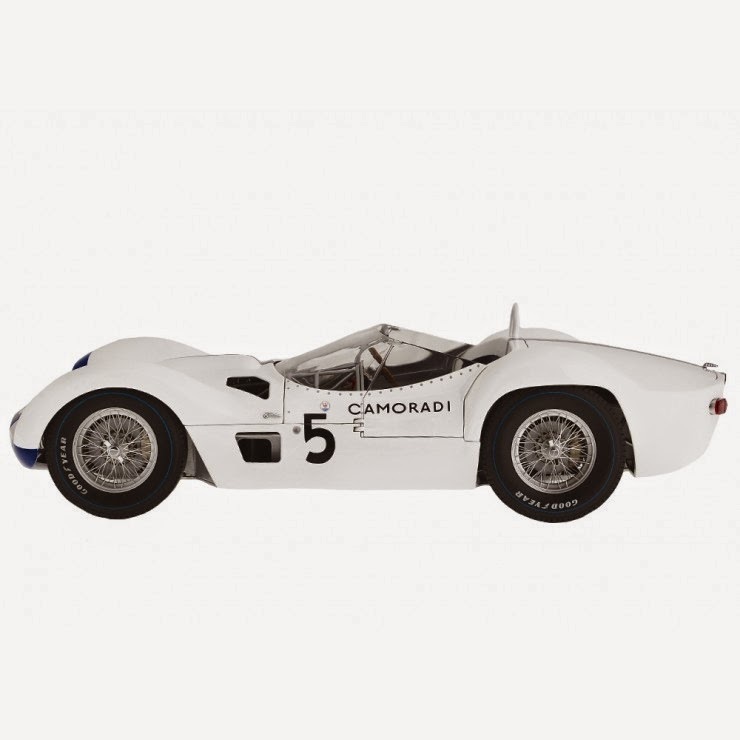 Better known as the "Birdcage" because of its intricate multi-tubular chassis, the "Tipo 61" is one of the most important cars in the history of Maserati, considered to be the ultimate expression of front-engine racing cars in the early 1960's. This magnificent limited edition model car, with 2000 pieces produced, reproduces the original car down to the finest detail: from the 250 hp 2.9-litre 4-cylinder engine, complete with every accessory, to the cockpit, finished with the greatest care. The bonnet, boot and doors open, and the front wheels swivel. A real gem comprising 278 parts and 318 decorations, and a must-have for any collector.